The Law Office of Mark T. Langston, P.C. For more than 25 years, The Law Office of Mark T. Langston, P.C., has provided superior legal representation to clients in state and federal criminal courts. Mark Langston provides his clients with smart, aggressive, creative representation in every type of criminal case, including serious felony and misdemeanor offenses, DUI and driver's license revocation, professional disciplinary actions, and post conviction matters. He has the experience to meet the challenges created by Colorado's many mandatory sentencing laws in cases involving drugs, crimes of violence, or sexual misconduct, and can help young people and their families with the tough disciplinary sanctions faced by students at the University of Colorado who are charged with even the most minor crimes. To stay well-connected in the legal community and up-to-date with information, attorney Mark Langston is active in several preeminent legal organizations. He is a Life Member and past President of the Colorado Criminal Defense Bar (CCDB) , an organization of nearly 1,000 Colorado criminal defense practitioners and the only statewide organization devoted solely to the defense of people accused of committing crimes. Mr. Langston is a member of the CCDB Policy Committee, and works with lawmakers to promote fair and responsible policy and legislative initiatives on criminal justice issues in the Colorado General Assembly . Mr. Langston is an active member of the Boulder County Bar Association , where he has co-chaired the Criminal Law Committee, and currently serves on the Professionalism Committee and chairs the Bar-Media Committee . 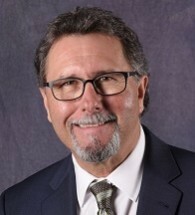 Mr. Langston is also a member of the National Association of Criminal Defense Lawyers (NACDL) , the Colorado Bar Association , the Colorado Criminal Justice Reform Coalition , Coloradoans Against the Death Penalty , the Boulder County Bar Foundation , the Legal Aid Foundation of Colorado , The Faculty of Federal Advocates , and the American Constitutional Law Society .